Love doing crosswords with your better half? 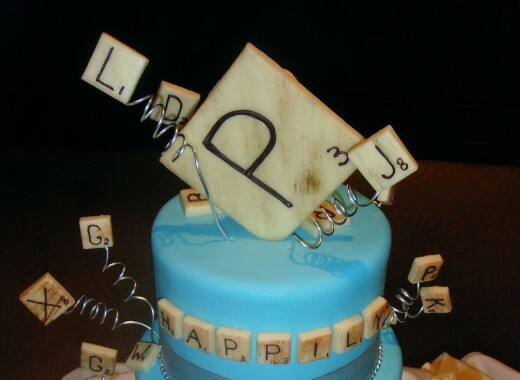 Why not have a Scrabble-inspired cake to celebrate your favorite past-time! 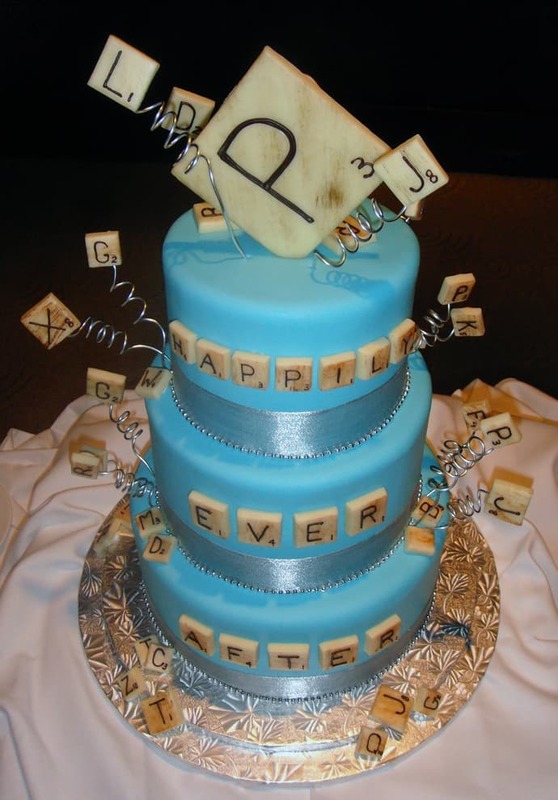 Scrabble is one of my favorite board games, and I was delighted when I saw 'happily-ever-after' depicted in square letters. If my calculations are correct, this couple's 'happily-ever-after' scored them 30 points alone!